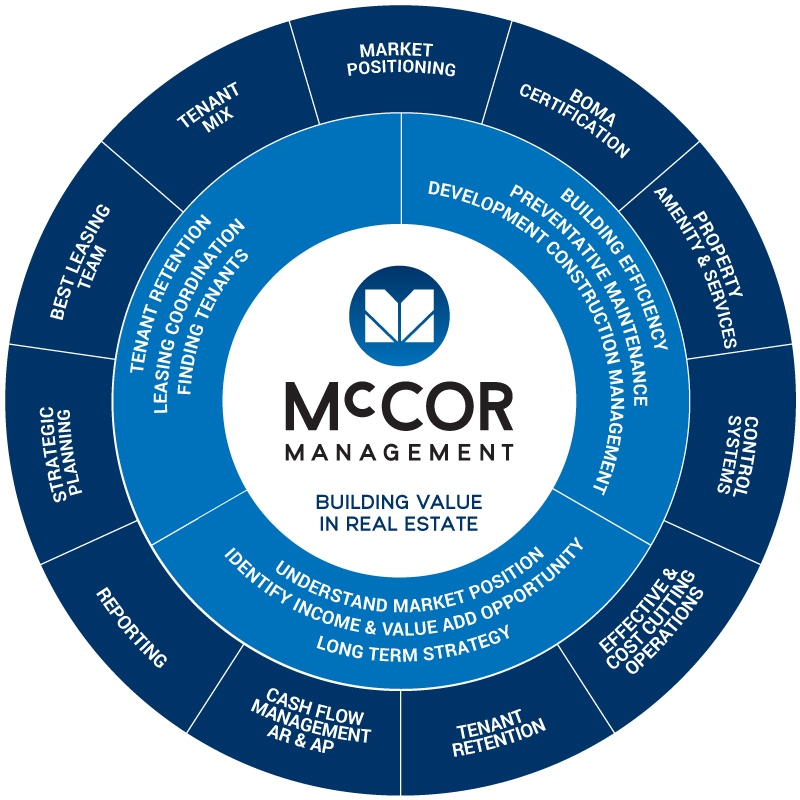 As property managers, McCOR Management’s focus lies solely on enhancing the value of our client’s real estate assets through innovative and proactive management solutions. Our strengths lie in controlling operating expenses, protecting property values through appropriate insurance and maintenance, securing tenant retention through superior service and providing owners with solid financial reporting and analysis. When executed efficiently, McCOR Management’s effective property management does more than merely protect and maximize our clients real estate assets – it strengthens their brand and sharpens their competitive edge. With in excess of $3-billion worth of assets under management, McCOR Management has the scope and experience to add value to every eventuality – whether responding quickly to tenant complaints and maintenance issues or implementing compelling marketing strategies to attract traffic and increase sales.